Oh, the wonderful world of sales. There's no sales degree in college, and people do not generally grow up saying they want to be in sales or become a sales manager. Oddly enough though, a lot of people find their passion in sales. Yes, I realize the words "passion" and "sales" in the same sentence can seem like an oxymoron. With that said, there are very specific personality traits which many people possess that correlate directly with a drive to put themselves out there in front of people in order to present a solution for approval. This can truly generate a delightful emotional response which can drive individuals to develop devotion to the career. BUT… there can be a dark side to sales, and more specifically, sales organizations. Sales organizations can be as stressful and unforgiving as assembling IKEA furniture or putting a plate in the sink while someone is washing the dishes. The reasons for this vary, but they can be broken down into two fundamental categories: Quotas and Company Culture. The way in which these two considerations are handled vary from industry to industry and organization to organization, but when managed appropriately, they can make all the difference in the workday of a salesperson. My career started in car sales and industrial sales, but in my current role at Lucid Software, I have discovered that selling Software as a Service (SaaS) shows the other two industries who’s boss. This is best demonstrated through a series of personal anecdotes that demonstrate the dos and don’ts of an effective sales organization. Most people, salespeople included, cringe when they hear the word quota. The purpose of the quota is to let everyone know what is expected of them. Generally, sales managers try to set them to be just in reach of the sales person's abilities. Sometimes sales managers have no idea the capabilities, or even possibilities, their sales team can achieve. Often, sales managers will create small competitions, or spiffs, to incentivize the salespeople to do better. There is little known about this species of salesmen in the world. 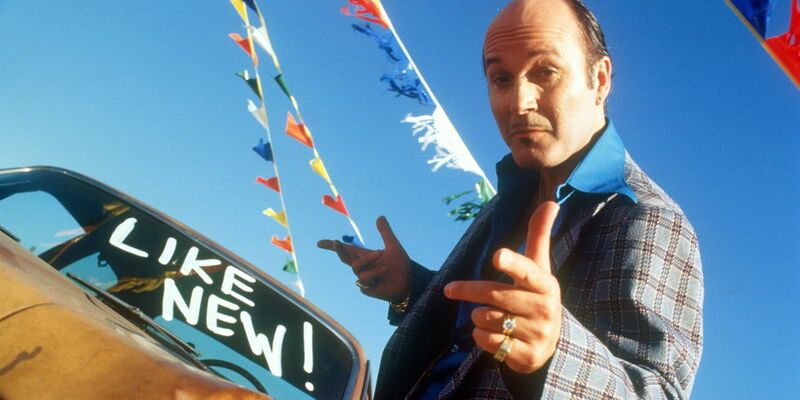 Most people believe a car salesman would sell their soul if the commission was good. Of course, I was not this type of salesman, but I understood the landscape going into the role. It was a strictly commission-based sales role, so the type of competition people expect by a salesforce is amplified by the "sell or starve" mentality. There is no technical quota here—you have to sell cars, or you spent ten hours at work for no reason. Many people excel at this job, but the standard feeling I get when I tell people I sold cars is, "Did you have to bring your own baby seal when you interviewed, or did they provide one for you to club?" (not a true story… I love animals). The spiffs that are offered, and there are quite a few, do little to lighten the already crazy competition involved in selling cars. More on that in the "culture" section. When I began selling for an industrial engineering and distribution firm, I immediately realized that the company had little understanding of how quotas worked. They would give the salesmen a set of accounts and say, "Go forth and grow the revenue by 20% and increase the GM%." Technically, this is a quota. The numbers make sense, and there is a clear goal. What didn't make sense was that this goal was set by management who hadn't been on a sales call with a salesman in the past 20 years. There was no logic behind this quota, as the sales cycle was extremely long—sometimes spanning years. So year-over-year growth of 20% didn't make sense as an incentive because the job was based more on large projects. Don't even bring up the idea of using spiffs, as those were axed my first month there. They truly must have thought the word incentivization was made up. Well, to be honest, I'm not even sure that is a real word. ***Side note: Notice I have been using the term salesmen in the above groups. This was intentional, not sexist. That's because while I worked in car sales there were zero female salespeople, and when I left industrial sales, the company had one female salesperson (sorry, Leslie). I almost started by describing what culture is, but if you don't know what culture is, I have a feeling you stopped reading back at the top of this blog. Anyways, I named the article "My Boss Wears Flip Flops to Work" not to brag, although it is pretty awesome, but instead to show what the company culture is like in a growth phase tech organization like Lucid Software! Before we get to the good stuff, I want to lay out what it was like to work in the cultures at the other jobs. You know how it feels to be that kid in high school who can't seem to make friends because there is something unique about you they just don't understand? Wait, you don't? Me neither—I was just checking. But just try to imagine going into work where everything you do well means that someone else lost the chance to make money. That's what happens when there are only so many people coming into the dealership and every "up" you take is one less customer the other salespeople have a chance to sell a car to. This is how the job can be extremely isolating. There was no system for organizing who takes the next customer that walks in the door. That would have lowered the level of competition. As a result of this strong competition, their turnover rate is one of the worst in sales industries. And people wonder why car salespeople seem as aggressive as an executive making an org chart. None of them have friends at work. 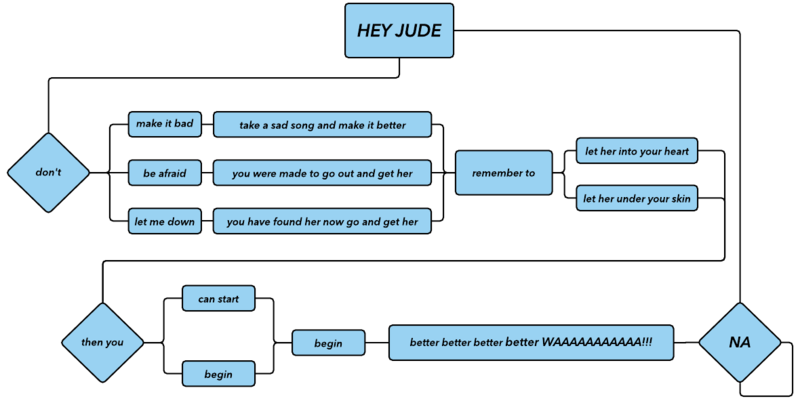 Do you remember that side note you totally took the time to read? Well the company culture in industrial sales is directly related to this lack of female salespeople. The vulgarity of some of the customers was hard to get over. Sadly, I am not joking about it. The customers are a huge part of what drives the company culture, and while the types of customers are not really my old company's fault, that's not the only thing that made the culture tough to work in for me. My first day on the job, my boss made me shave my beard, which was respectable (despite what my mom thinks), because he thought "customers trust people with a clean-shaven face more." I was also told that my pants looked too much like jeans (they weren't), and that I had to change, despite the fact that all my customers were always wearing jeans and t-shirts. I could keep going, but you get the picture. Despite being the year 2016, it was the 70s. 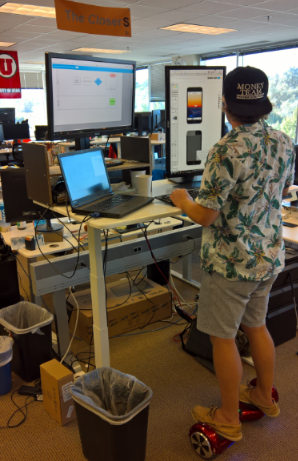 This picture is of an Account Executive, a role similar to mine, on a call while riding a hoverboard under "The Closers" flag, wearing his "Money Team" hat, Hawaiian shirt, and shorts at 2PM on a Monday. The best part is, he does very well in sales numbers. We dress up on Fridays sometimes to be ironic. My boss literally wears flip flops on the reg. (calling you out @Cody), and he can be considered a quota crusher. Best of all, my CEO (@KarlSun) was wearing sandals, shorts, and a T-shirt when I interviewed! What you are seeing below is the actual 2015 Lucid Foosball Singles Tournament results designed in Lucidchart—because yes, we have a foosball and a ping pong table here. Every month there is a budget to do something (like hoverboards) with each team, every quarter there is a company-wide party for employees and their families, and once a year there is a company-wide retreat. The fridge and kitchen at the office are always stocked. However, despite all the perks, I would say the most important part of the office is that it is a space where management listens to your ideas and allows you the ability to help them improve the processes. They understand that they may not know everything, and they are not afraid to test the status quo to build a better company. The sales and rapid growth of Lucid are phenomenal examples of the company culture.